Rose Blossom Legacies: Become a Consultant in August and Earn Rewards YOUR Way! Become a Consultant in August and Earn Rewards YOUR Way! Choose your rewards when you sign up to be a Consultant in August! 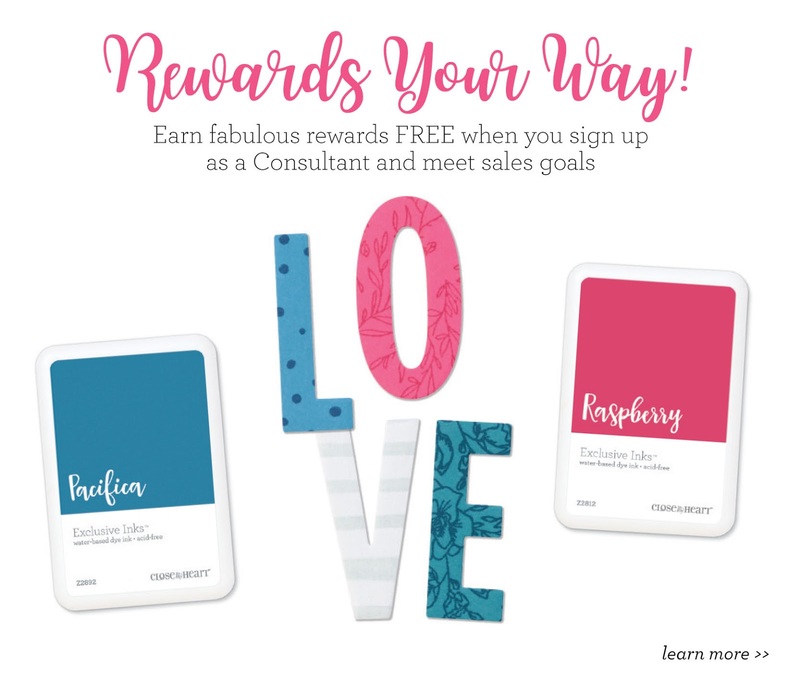 During the month of August when you sign up to be a Consultant and reach cumulative sales of $300 by September 30th, you can choose from a selection of three new Consultant rewards! With the new Annual Inspirations Idea Book and upcoming Holiday Expressions, this will be easier than ever!! Any Cricut Collection! This reward is valued at $99! I LOVE the brand spanking new You Are Here Cricut collection. 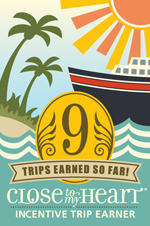 If you travel, have days or weekend away, do Staycations - you are going to love it, too!! I have all the Cricut collections, but these three stamp sets included are A-MAZ-ING!! Block Alphabet Thin Cuts Bundles! This reward is valued at $65.95! If you love Thin Cuts, you will love this bold alphabet. Letters are approximately 1-1/2" tall. So fun!! $99 in Select Product Credit! WOW!! You can choose any $99 worth of product that you'd like!! If you'd like to learn more, please E-MAIL ME. I can tell you all about how much I love Close To My Heart, and why this would be the perfect opportunity to give this a try! When you sign up to be a Consultant, the kit is valued at over $200! PLUS you get $50 in Select Product Credit to buy anything you want!! In the end, your $75 investment can be worth $350!! I wish I could have all my team members in this photo, but believe me when I tell you that we are all excited to welcome you! !